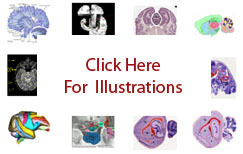 The term area 3a of Vogts refers to an area of the cerebral cortex originally defined on the basis of myeloarchitecture and cytoarchitecture in the guenon. It is located deep on the posterior wall and fundus of the central sulcus. It only emerges on the cortical surface at the lower end of the sulcus. It represents a portion of area 3 of Brodmann (guenon) that Brodmann regarded as transitional to area 4 of Brodmann (guenon). The Vogts distinguished it as one of two subdivisions of area 3. The other was area 3b of Vogts ( Vogts-1919 ). 'Area 3a' continues to be the most common name for the structure. It is now recognized as differing from 3b not only in architecture but by its input, which comes primarily from muscle receptors, its output rostrally to motor cortex as well as caudally to area 2 of Brodmann (guenon) and its more direct involvement in motor function than 3b. Functionally it is a subdivision of the somatosensory cortex. It is considered to be equivalent to area 3a in the human and the macaque ( Kaas-2004 ).